Béla Ferenc Dezső Blaskó, or Bela Lugosi as he is better known, died in 1956, but his reputation and aura not only survive but thrive – ironically because of a song commemorating his demise. 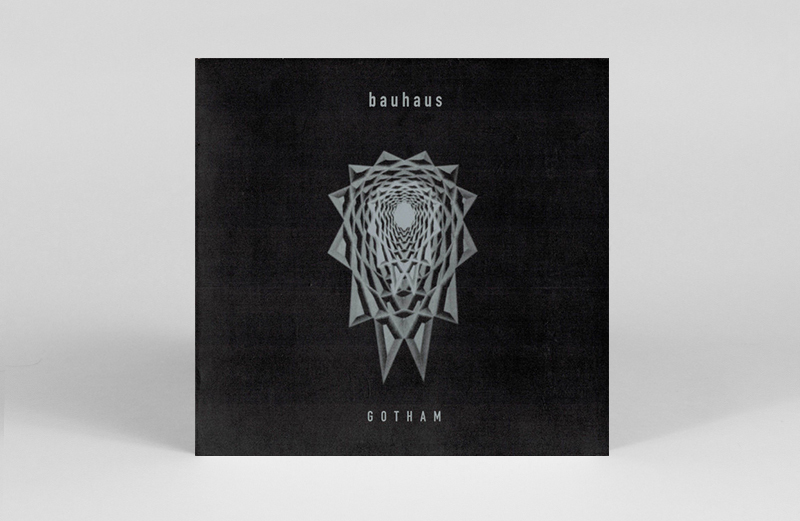 Namely Bauhaus’ debut single ‘Bela Lugosi’s Dead’, inspired by the Hungarian actor who defined Count Dracula (at least until Christopher Lee’s era) in the 1931 film adaptation of Bram Stoker’s novel. 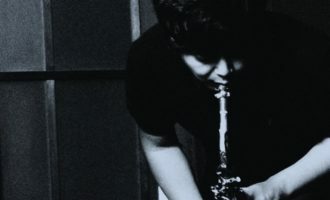 Carved out of the same experimental, questing spirit as the best post-punk of the times, the Northampton quartet’s track was simultaneously maximalist – nine minutes long – and minimalist – sparse, often instrumental, and as much about the spaces as the notes. 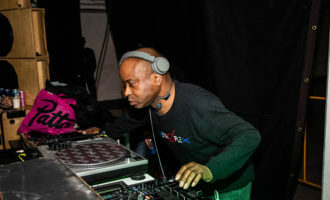 The epic tune was released by London indie Small Wonder in autumn 1979, and reissued several times since, including (according to Discogs) black, blue, pink, purple, green, clear and glow-in-the-dark vinyl editions. 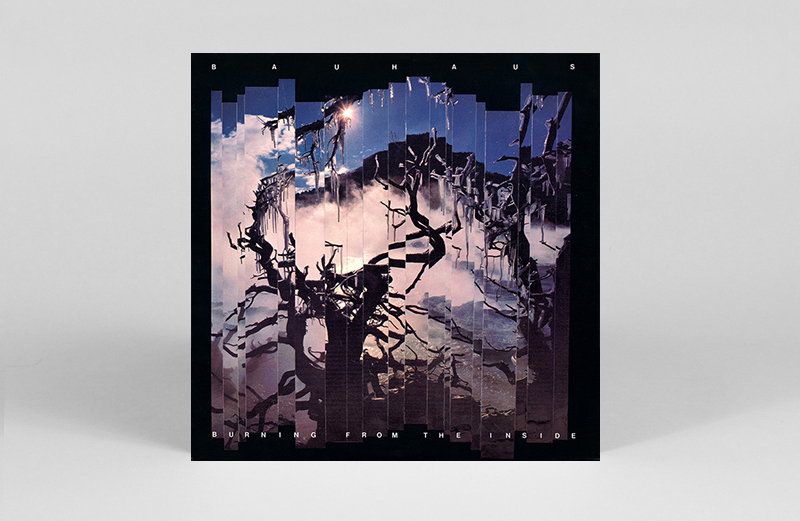 Now, celebrating 40 years since Bauhaus formed, Leaving/Stones Throw have released a new remastered 12”, spearheading The Bela Sessions EP with three unreleased tracks from the same exploratory session. 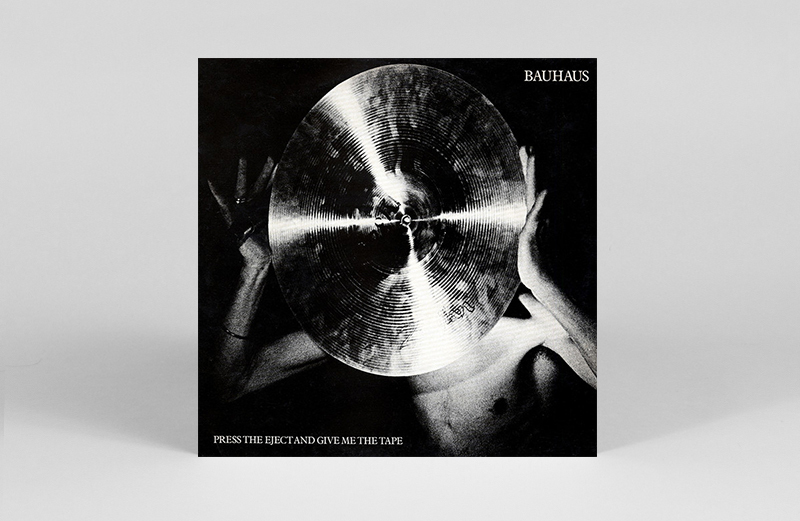 By the end of 2018, Beggars reissued six Bauhaus albums – in respective bronze, yellow, white, violet, blue and ruby versions. Bauhaus – singer Peter Murphy, guitarist Daniel Ash and sibling rhythm David J (bass) and Kevin Haskins (drums) – had only been together a month when David J wrote a lyric after watching Lugosi’s Dracula. Matched to what Ash called “a haunting riff” and Haskins’ bossa nova beat, Murphy “recited the lyrics pretty much as you hear them on the record,” David J recalled. Recorded very soon after the demo, ‘Bela Lugosi’s Dead’ was a true original: intense, cavernous and spacious. (David J was a big fan of dub). 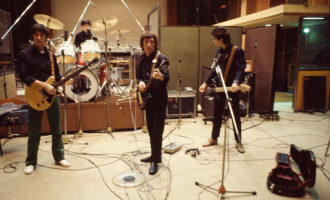 In the same session, however, the band had demoed ‘Some Faces’ (power-pop), ‘Biting My Lip’ (new wave), ‘Harry’ (reggae) and ‘Boys’ (a drum-free Bowie rip-off), none of which sounded promising or visionary. “We were trying to find our voice,” said Haskins. Well, at least they found it in ‘Bela Lugosi’s Dead’. Beggars’ ‘ruby’ reissue. 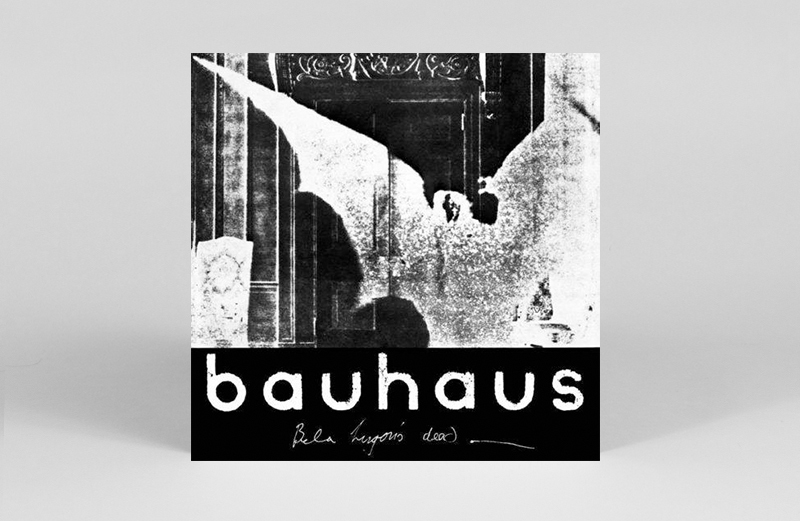 This compilation, released to coincide with Bauhaus’ first reunion is the best way to source their early singles, though ‘Bela Lugosi’s Dead’ is here in its ‘Tomb Raider Mix – if anything, a better version. Second single ‘Dark Entries’ was one of four 7” released simultaneously in 19080 to launch the Axis label – quickly renamed 4AD – after the label’s co-founder Peter Kent overheard the demo while it was playing in the Rough Trade shop. From the start, the band eschewed the label ‘goth’, preferring their own description: “dark glam”. Though the enthralling ‘Dark Entries’ directly correlates to early Joy Division and Banshees, the lyric was inspired by the decadent anti-hero of Oscar Wilde’s novel The Picture of Dorian Gray: “a story of great narcissism… A rock star’s story,” shared Murphy. Bela, Dorian… this was not the austere climate that punk, and much of post-punk, drew on – likewise with Murphy’s habit of shining a torch under his chin as he prowled across the stage. Though the stark, strutting rock-disco of their third single ‘Terror Couple Kill Colonel’ resembled PiL more than others, a cover of T. Rex’s ‘Telegram Sam’ clarified the band’s willingness to stand alone. 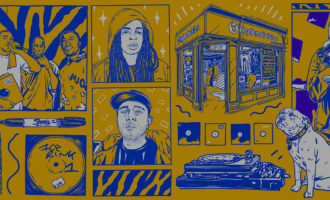 Beggars’ ‘bronze’ reissue. 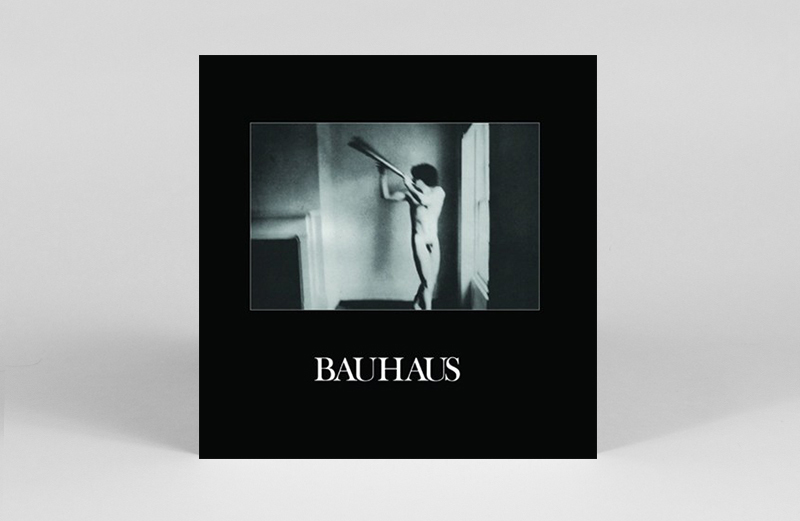 Bauhaus’ early singles were all, in their own way, definitive, but not their album debut. Stentorian intro ‘Double Dare’ is terrific, but this was the licensed John Peel session version because they couldn’t match it by themselves. 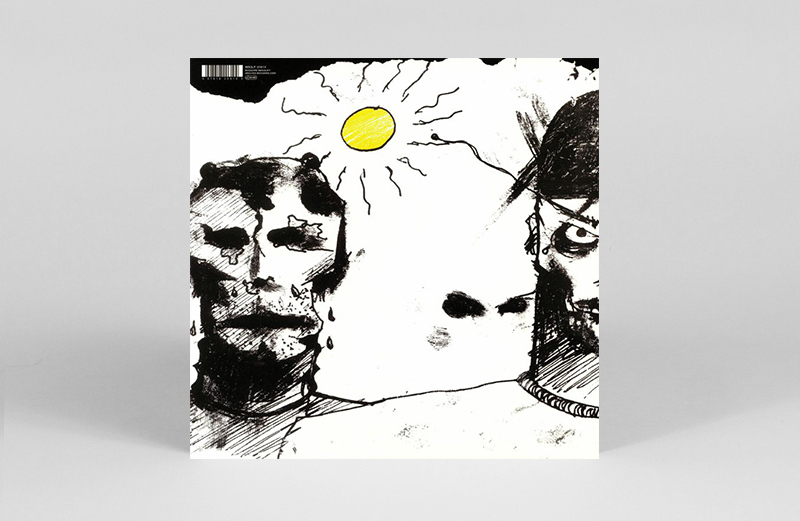 Murphy lacked Ian Curtis and Siouxsie’s ear for melody; as a result, In A Flat Field is too stark for its own good. But Ash’s scrapes and volleys and the music’s lithe dynamic still resonates (check ‘A God In An Alcove’ or ‘The Spy In The Cab’). But with ‘St Vitus Dance’ and ‘Stigmata Martyr’ and a booming Bowie-esque delivery that could lean toward overkill, Murphy was laying the ground for ‘goth’, especially when he’d shine a light under his chin when prowling across the stage. The Birthday Party were ‘goth’ too: they created ‘Release The Bats’ in 1981 after touring with Bauhaus, but surely Nick Cave was parodying ‘goth’. At the same time, they were ‘cool’ and Bauhaus were not. In A Flat Field won some unusually vindictive reviews. (NME: “Nine meaningless moans and flails bereft of even the most cursory contour of interest”). But Ian Curtis was a Bauhaus fan, and In A Flat Field was a commercial success – ‘Bela Lugosi’s Dead stayed in the indie charts for two years – so it triumphed over a couple of attitudinal journalists. The band responded with a more nuanced and diverse second album, defined by its two singles, ‘Kick In The Eye’ – their first ‘pop’ record, like something off Bowie’s Scary Monsters, and ‘Passion Of Lovers’. ‘Of Lilies And Remains’ and ‘Dancing’ dallied in dub (David J’s is probably the era’s most underrated bassist), ‘Hollow Hill’ was eerie and slow without toppling into cliché, while the title track’s forwards/backwards blend of sound (including keyboards) was the right side of psychedelic experimentation. In other words, Mask sounded nothing like Joy Division or the Banshees, or goth stalwarts such as Sisters Of Mercy or Specimen. The ‘white’ reissue. Press The Eject… gets its title from a security official demanding a bootlegger hand over his tape; but there was an official recording of several UK shows in 1981–82. A live album also went against the post-punk grain, but it was a gift to fans, and a kind of ‘greatest hits’ of sorts, including ‘Bela Lugosi’s Dead’, ‘Dark Entries’, ‘Kick In The Eye’, ‘The Spy In The Cab’, ‘Hollow Hill’ and ‘Dancing’ (with Ash on sax as well as guitar), plus their take on John Cale’s spooky dirge ‘Rosegarden Funeral of Sores’ (a studio version was a ‘Telegram Sam’ B-side). 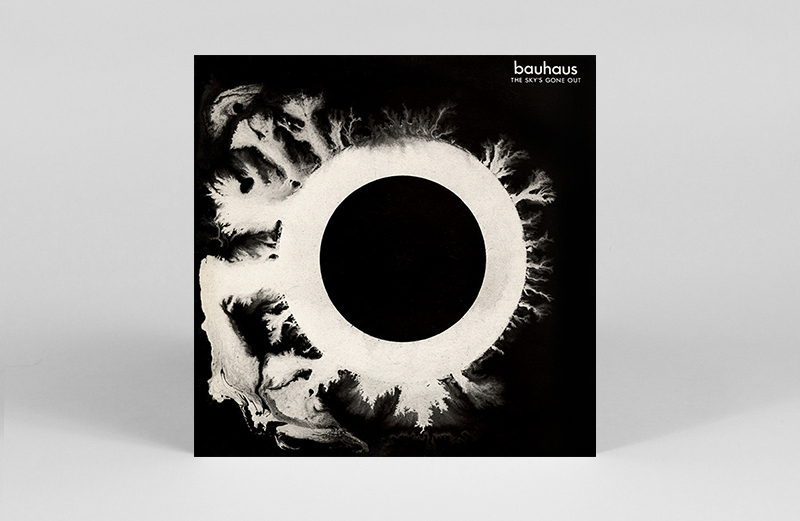 An intense atmosphere on top of song selection make this one of Bauhaus’ strongest records. The ‘violet’ reissue. The Sky’s Gone Out opened with a cover of arguably Eno’s most rockin’ track – ‘Third Uncle’. Since Bauhaus had already recorded a cover of Bowie’s ‘Ziggy Stardust’ for a Peel session, and then a studio version as a single that finally broke them nationally, there was no sense of shame in tapping the obvious. ‘Swing The Heartache’ aimed at a ‘Nightclubbing’ (Iggy and Bowie’s robo-disco classic) vibe, but with such a naked backdrop, Murphy’s booming vocal is Marmite. A new recording of preceding single ‘Spirit’ benefitted from restraint, likewise Bauhaus’ first straightforward ballad, the gorgeous ‘All We Ever Wanted Was Everything’, and the first two parts of the triptych ‘The Three Shadows’. Album finale ‘Exquisite Corpse’ even had a reggae/ska coda. But when Bauhaus – performing ‘Bela Lugosi’s Dead’ – provided the opening nightclub scene of Tony Scott’s vampire saga ‘The Hunger’, the Goth tag was superglued to them. The ‘blue’ reissue. Averaging one album a year, their fourth LP was released just after the band broke up. The Hunger clip resembled a Murphy solo spot, and a gulf had appeared between the singer – who described himself, immodestly, as, “raw, spontaneous, like a fine art installation, more Iggy than Iggy,” and the rest. (As Ash explained: “We all had very dominant personalities.”) Burning from the inside, indeed. A shame, because album intro ‘She’s In Parties’ was one of their greatest singles, showing how far Murphy had come in forging memorable melody (so much so that the outrageous Bowie-cockney impersonation is almost forgivable). The band’s arrangement sounded if a piece with the ‘New Pop’ new wave Perhaps the death knell was Murphy’s illness that prevented him from starting the record. 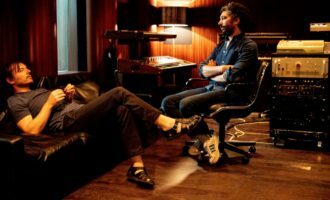 David J and Ash sung some lead vocals – both had already recorded solo, with two David J singles and Ash making the Tones On Tail EP with schoolmate/Bauhaus roadie Glenn Campling) – so they would have sensed the freedom of not having a third creative vision. 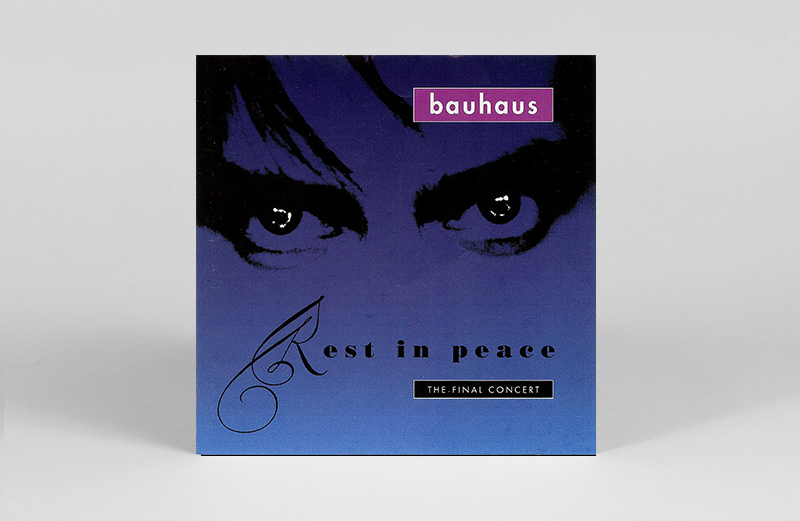 ‘David J’s piano-led ‘Who Killed Mr. Moonlight?’, and Ash’s almost acoustic, psych-tipped ‘Slice Of Life’, for example, would never be mistaken for classic Bauhaus. This was the band’s stage swan song – a 5th July 1983 concert at London’s Hammersmith Palais released in 1992, and so RIP it seemed. Murphy soon pursued a solo career while Kevin Haskins joined Ash in Tones On Tail, which morphed into the (very successful, at least in the US) Love & Rockets when David J also joined. A pointed Bauhaus reunion minus Murphy. Maybe it’s the recording, or the fact the band knew they’d exhausted each other, but it often sounds dispirited. And no ‘Bela Lugosi’s Dead’, though the finale of ‘Dark Entries’ is ragged and thrashy, as if they can’t wait to get out of the building. In 1998, after years of being namedropped by the likes of Nirvana, Jane’s Addiction, Nine Inch Nails and Marilyn Manson – children of goth just as Bauhaus were Bowie’s kids – Bauhaus did reform. But only for the ‘Resurrection Tour’ as they called it, a reference to the vampirical aspect of their reputation. 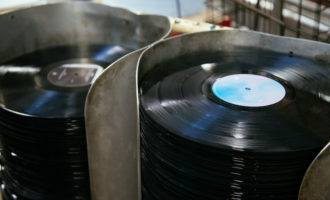 The only new recording wax was the lengthy, woozy ‘The Dog’s A Vapour’, subsequently included on the soundtrack to Heavy Metal 2000 and a studio version of Dead Can Dance’s ‘Severance’ bizarrely tacked onto to the end of Resurrection Tour memento Gotham. The album easily trumps Rest In Peace by surfing on a wave of rabid fan reaction, plus much better technical know-how than early eighties stage sound and reproduction allowed. As the video shows, Murphy wore a cape for ‘Bela Lugosi’s Dead’ and did his best Dracula impersonation, before the band finished with ‘Telegram Sam’, ‘ Ziggy Stardust’ and Iggy/Bowie cover ‘The Passenger’. Goth, and glam legacy, all intact. Another reunion followed in 2005, with Murphy lowered upside-down to the stage at the Coachella festival while singing ‘Bela Lugosi’s Dead’. Amazing what a difference three decades makes. 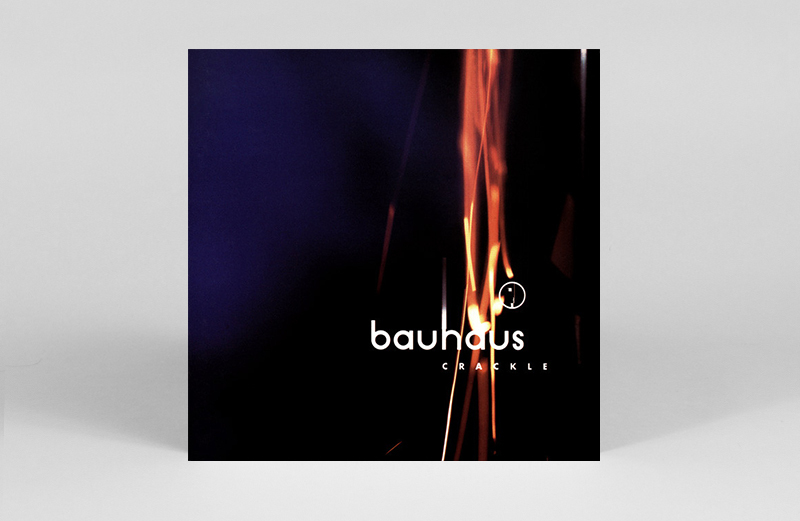 This time, Bauhaus did make a new album, their first in over 20 years, one that mocked the idea of goth by eschewing post-punk-dark trademarks for a streamlined, diverse modernity. ‘International Bullet Proof Talent’ bordered on industrial/ danceable (complete with female backing vox) just as ‘Zikir’ bordered on ambient trip-hop. Even when Murphy tapped his inner Bowie on ‘Saved’ and ‘Mirror’, the arrangements were sparser, and more haunting, than even the old dub forays of the past. Murphy had been living in Istanbul, the others in California, and they now sounded nothing like grey, abrasive Britain circa 1980. 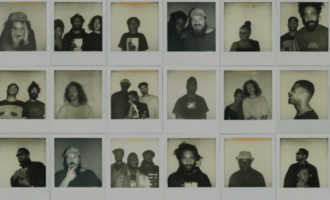 Very promising, except apparently Murphy did something so unspeakable (literally, no one will say exactly what) that the band burnt out from the inside once again, before the album was released. 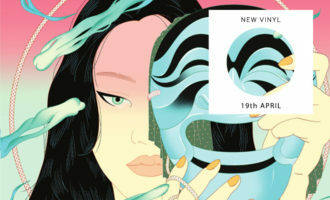 Ten years on, there has been some measure of rapprochement, with David J and Murphy currently on a Ruby Anniversary tour of Bauhaus songs, while in 2017, Ash and Kevin Haskins toured as Poptone, with Haskins’ daughter Diva Dompe on bass, performing Tones on Tail and Love And Rockets tracks alongside ‘Slice Of Life’ (from Burning From The Inside). 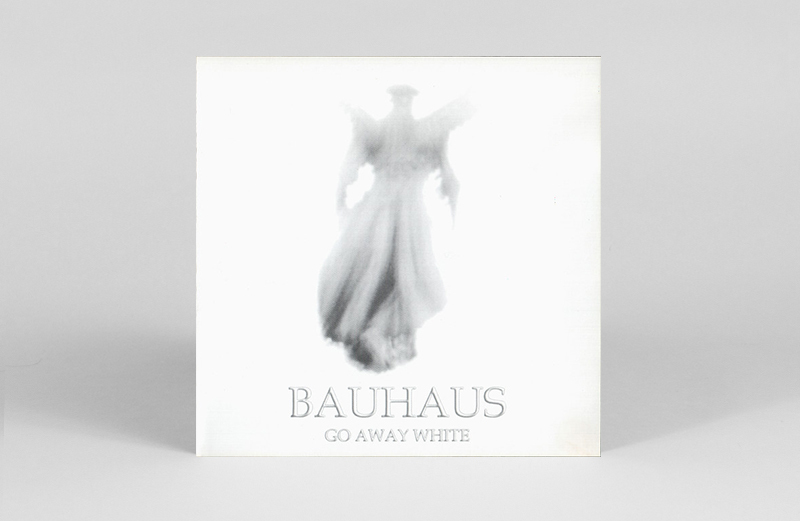 Ash says “never say never” regarding another Bauhaus reunion, but even if it never happens, Bela Lugosi lives, and so do Bauhaus, survivors of the Goth Wars.